Right after that come our other values: being green, contributing to the well-being of other small local businesses as well as charities, and of course promoting and caring for nature. Casa do Valle has been awarded the 'Green Key' which is given to establishments that make a special effort to protect the environment and therefore the climate. We have made improvements to ensure that both we, and you as our guest, are “greener”. Green Key is the international eco-label of the tourism industry, which is awarded to companies that comply with a number of environmental requirements in many different areas. The establishment must, for instance, introduce environmental management, reduce its energy and water consumption, sort waste, use environmentally friendly cleaning products, promote organic products, avoid chemical herbicides and much more. We line-dry, use LED lamps, use recycled paper and recycle all of our waste. Green Key is established in 55 countries and more are being added to the list. In Portugal, the Secretariat falls under ABAE. 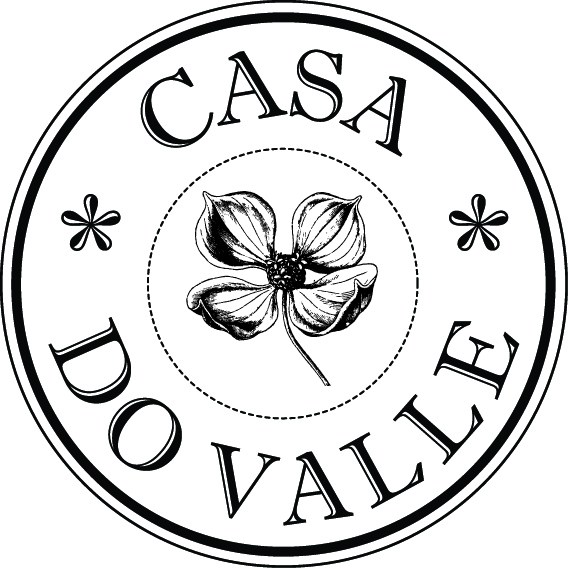 Casa do Valle is located in the Sintra - Cascais Natural Park and belongs to the community of services in the protected areas of Portugal, Natural.Pt. All of the members in this association must share its values - ensuring conservation of the natural and socio-cultural values and the appreciation of the activities and traditional and authentic knowledge of Portugal, projecting them both nationally and internationally. The empowerment of local communities and preservation of nature are some of its main goals. Read more about Natural.Pt in English here. Belonging to a community like ours in Sintra, it is important to celebrate and encourage all the small businesses around. Therefore, we shop locally, and whenever is the season, our fruit comes from the local farmers. Our jam is locally made. We suggest gifts from local small businesses, like honey, wine and tiles. As for the caring, we support a few local charities – the São Pedro animal shelter and the NGO Montanha de Afectos. The half-empty individual body lotions and shampoos are refilled and go the homeless in Lisbon. We love nature and Serra de Sintra. Celebrating its beauty and caring for it is a part of our life. We promote activities that encourage everyone to experience the famous Mystery of Sintra, like walking, cycling, climbing, paragliding and surfing – or rather, the ones with a low carbon footprint, Our favourite mode of transport is by a horse and carriage. Some of us volunteer for the up-keep of the walking trails in Sintra.